RBNY vs Revolution: Three At Last, Three At Last! Thank God Almighty, It's Three Points At Last! The NY Red Bulls somehow managed to hold on to a 2-1 scoreline, against the hapless New England Revolution, and snapped a six game winless streak. 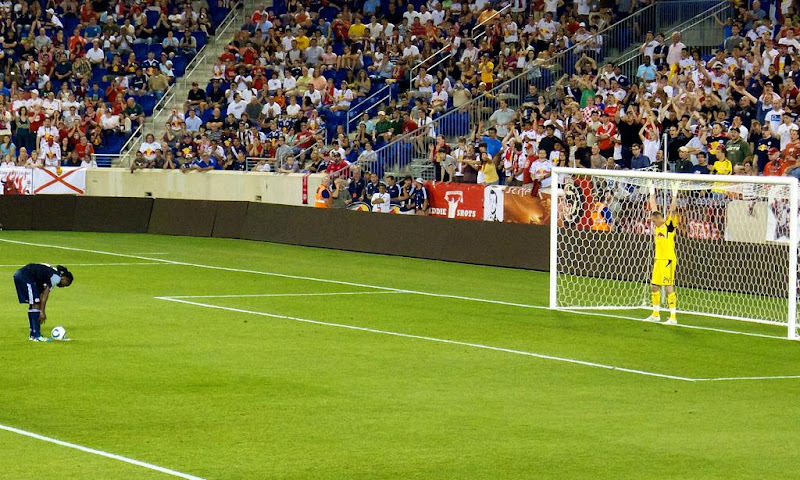 This miracle first started with a fantastic penalty kick save by RBNY goalkeeper Greg Sutton. Sutton stuffed Red Bulls killer Shalrie Joseph to preserve what, up to that point, was a 0-0 draw. A 37th minute own goal, from the Revolution's Ryan Cochrane, and a 50th minute Thierry Henry golazo put RBNY firmly in control of this one - but just for a few minutes... In the 54th, a Chris Tierney cross, from the left, found Zak Boggs badly marked (by "Miller Time" Roy) on the right. The New England forward coolly stuck it in past Sutton and it was game on again. The Revolution kept hanging in there, due to some great saves by Matt Reis and some very poor RBNY finishing. One such miss by Mehdi Ballouchy has to be seen to be believed. The Red Bulls, it seemed, also tried their best to give this one away, but the scoreline kept holding, deep into regulation. I was certain that the tying goal was coming and in the 88th minute Rajko Lekic scored. I didn't even blink an eye, as a late dagger in the heart has become commonplace with this team. Surprisingly, the linesman ruled Lekic offside. We all collectively held our breath again when the Revs had a free kick, just outside the box, very deep into injury time. Nothing came it and then the ref blew his whistle. Wheeew! Three massive points before a brutal four game road trip! Thierry continued his excellent form, scoring his 7th of the campaign. The legendary Frenchman may actually be just hitting his stride, so his best might be yet to come this season. Luke, Luke, Luke Rodgers also continued his excellent form, having a hand in the opening RBNY goal and unlucky not to have personally scored one, two or even three, in this one. Please see the above video for drunken pre-game, 1st half & half-time comments. Please click here for 2nd half & full-time comments. Please click here for my photo album or click here for the slide show. It was a fantastic time, yet again, in the South Ward. One of our friends said that he'd never heard the South Ward so loud and I might have to agree with him. A great turnout @The Cathedral of Football, with approximately 1,500 there celebrating Croatian Heritage Night. 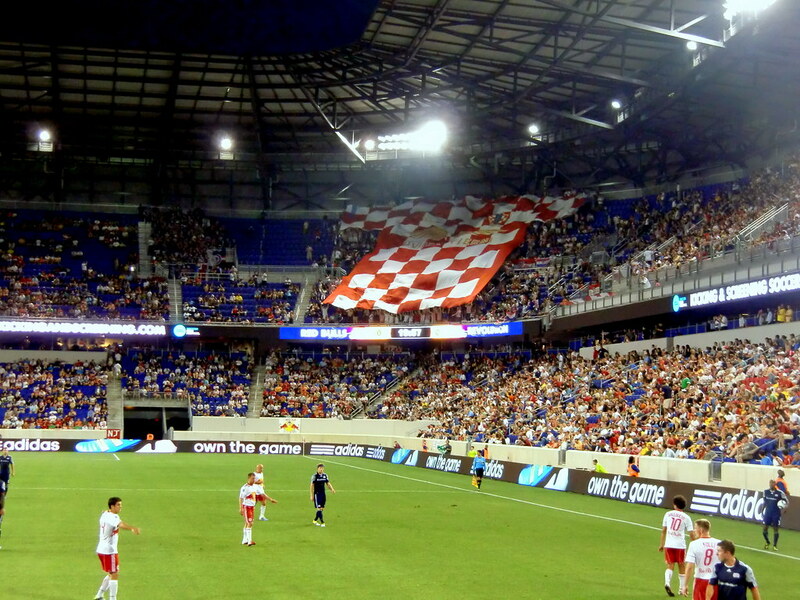 In the 20th minute, they unfurled a very impressive Tifo in their upper tier section. Just fantastic! Let us pray that we can get some very good results from the coming road games. 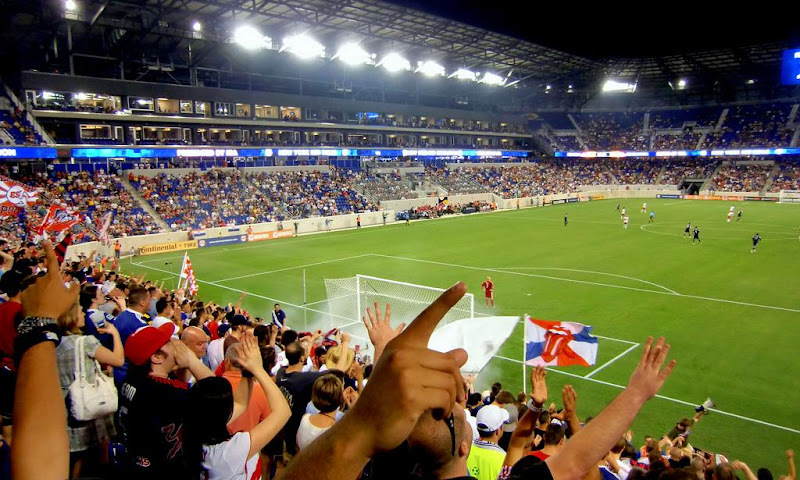 Our next home game is Wednesday, July 6th (8:00 PM), against Toronto FC (use promo code RBNYBRAZIL). Hopefully, our missing starters will all be back in the fold for that one. We'll, hopefully, have some special reports from the Portland game, as a couple of our friends will be out there next weekend. Viper Out!